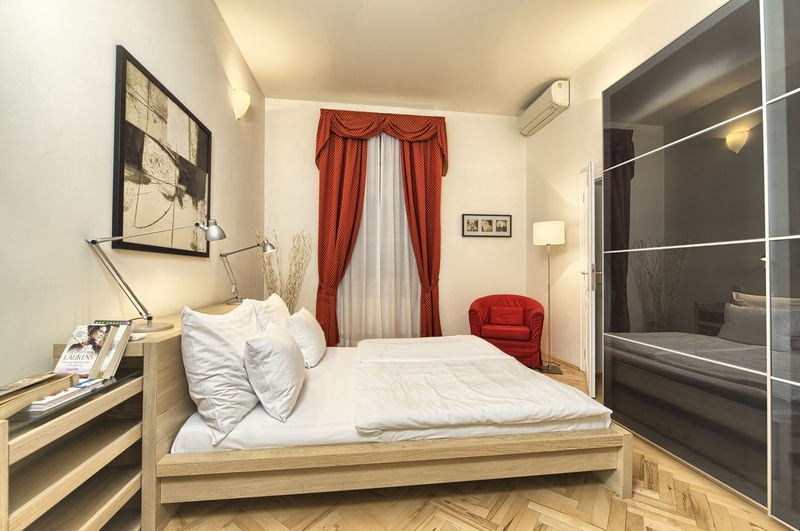 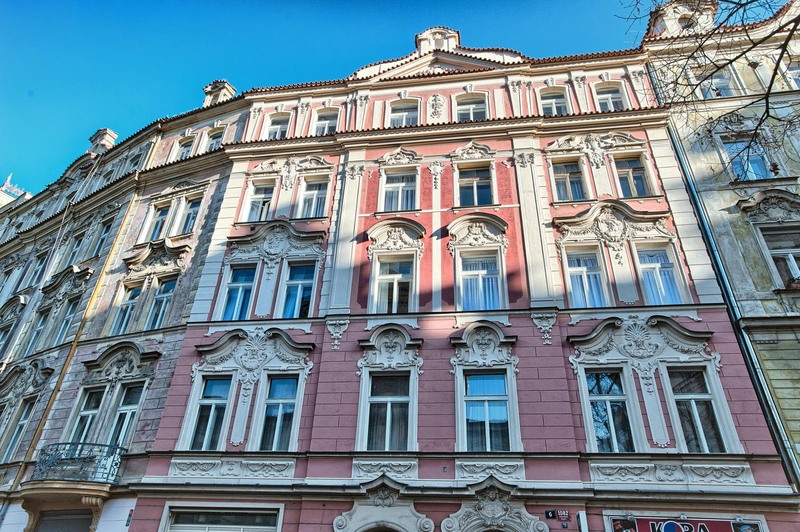 The residence is located in a quiet street in an attractive locality of old Prague center, right across the street from early baroque Salvator Church. 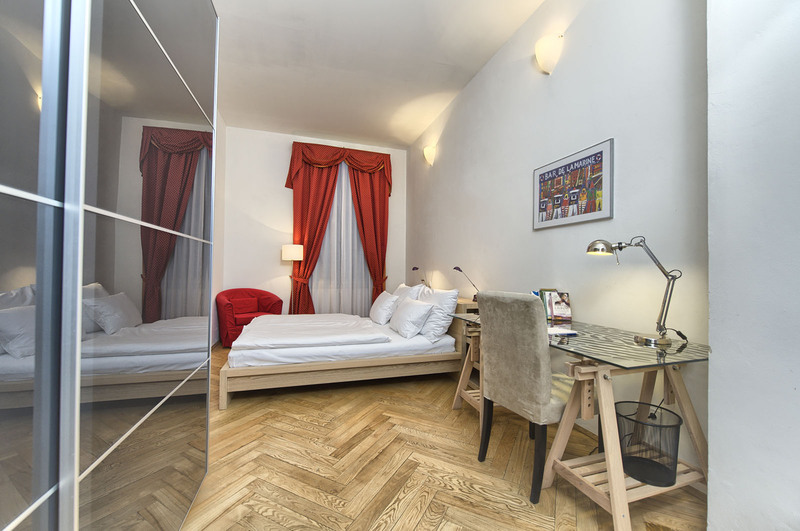 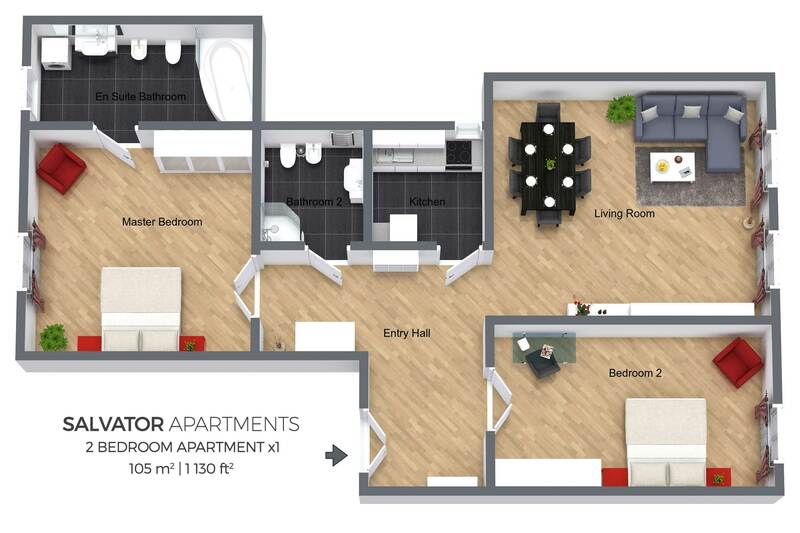 Apartment consists of two modern and spacious bedrooms equipped to ensure maximum comfort. 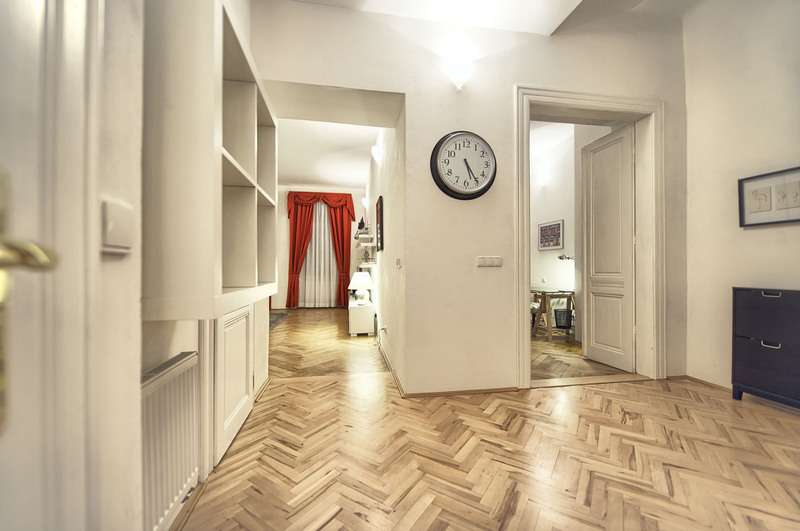 If needed, there is also a work desk in one of them. 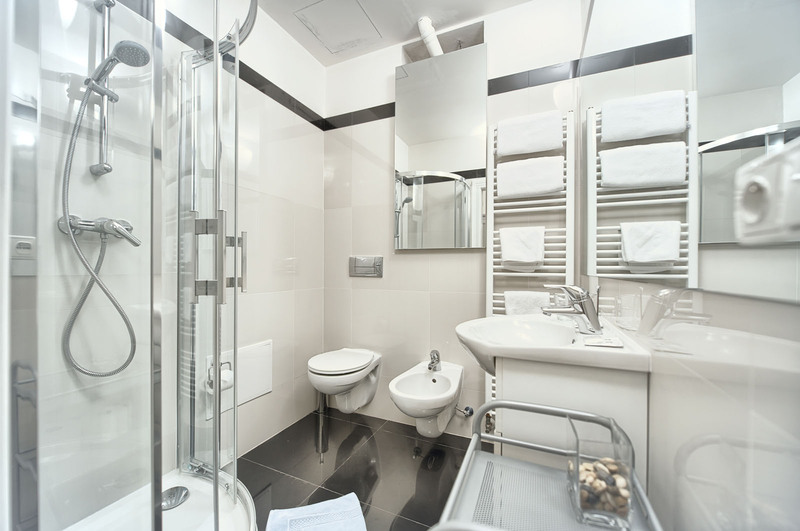 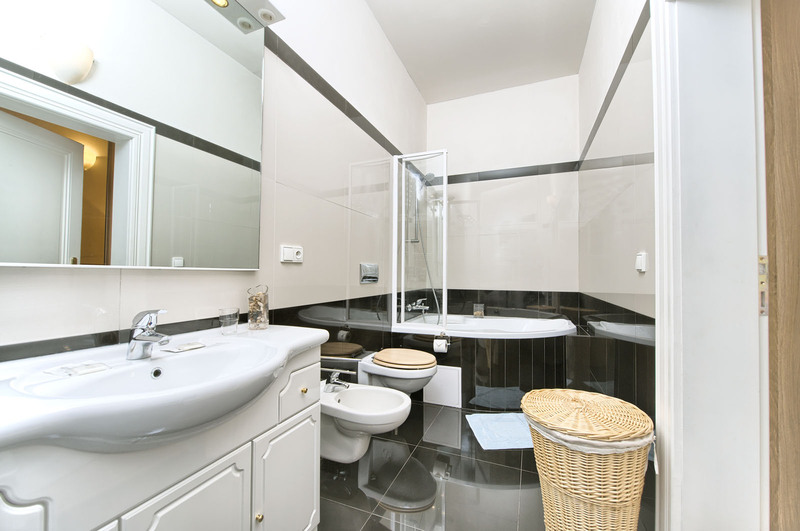 One big bathroom with bathtub is en suite and one with shower is separate with entrance next to the kitchen. 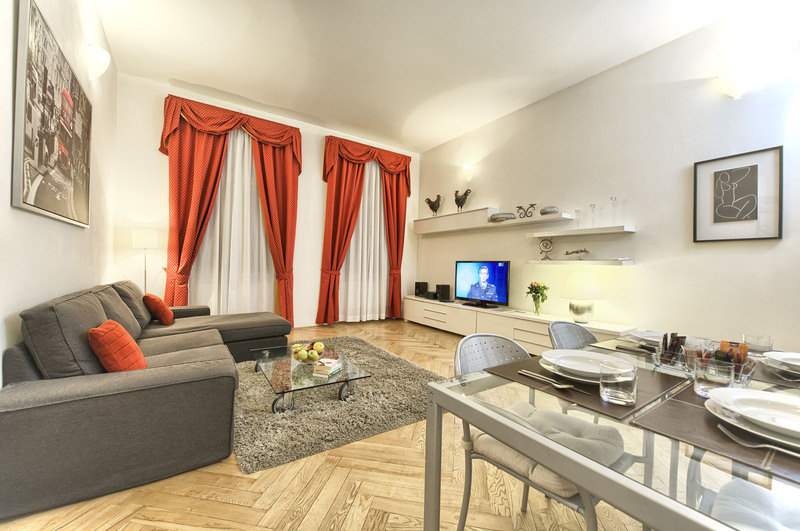 After a long day, living room and dining area will provide plenty of space for enjoyable relaxation. 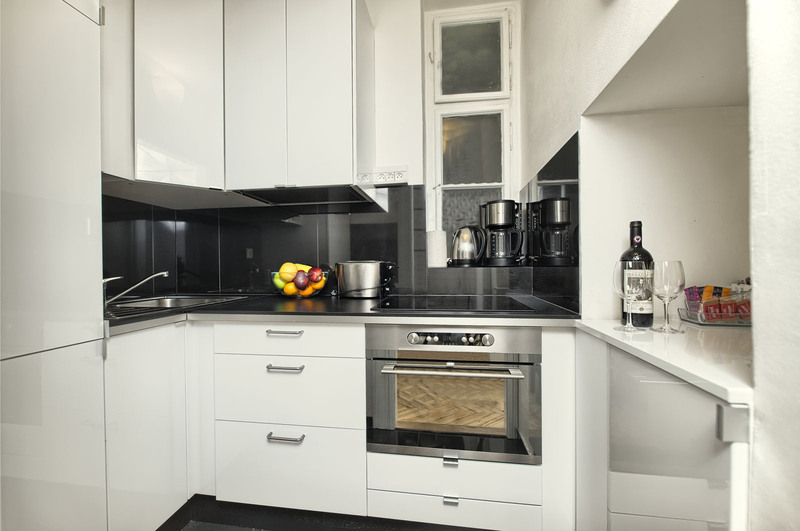 Kitchen is fully featured and will make preparation of any meal a pleasure. 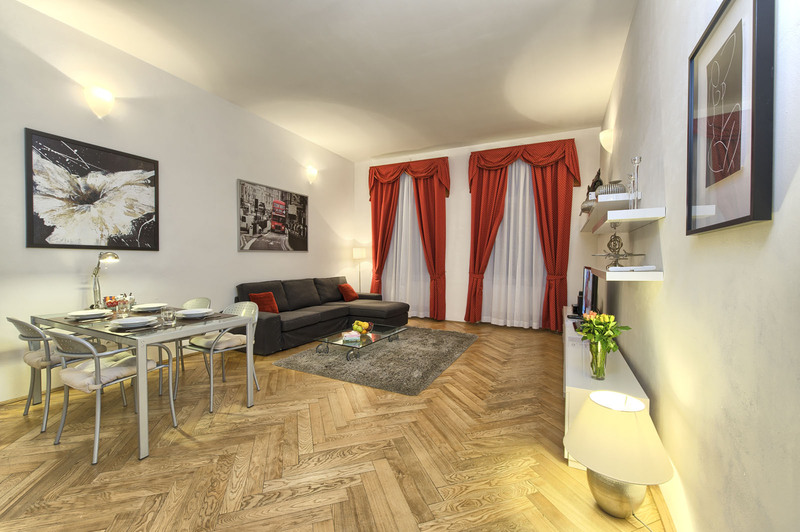 The apartment is well lit and with its dispositions will be a number one choice for families.